We move through an area of small streams, mountain rivers and moraines („Wieser Werfa” und “Wieser Moos”) and mountain lakes (Waldner See). 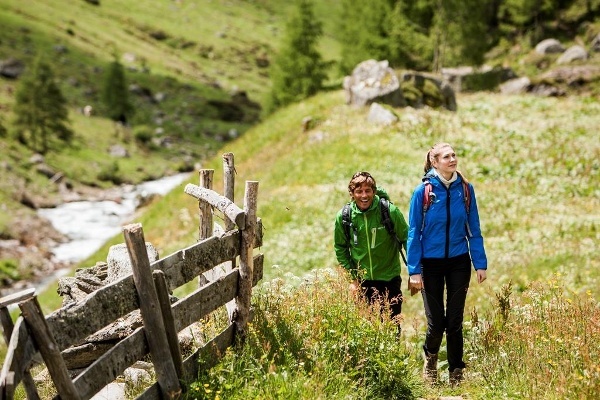 At the same time we enjoy panoramic views of the glaciated world of the „Hohe Tauern” mountains as well as the dark peaks of the “Durreck Group“, a core landscape of the Nature Park “Rieserferner-Ahrn”. Historical pathways across the „Hundskehle” tell of former close contacts with the neighbouring people in “Zillertal” valley. Take path nr. 15 from the car park in Kasern (1,595 m) to the “Hochwieser Alm” cabin (2,025 m), then take path nr. 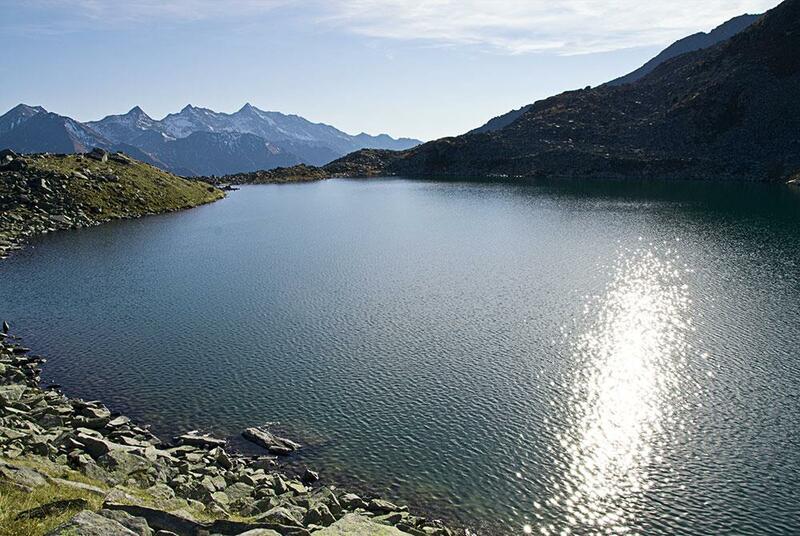 15A to “Wieser Werfa” Biotop (a moraine landscape) and “Waldner See” lake (2,338 m). Return on path nr. 16B to the „Waldner Alm” cabin (2,086 m) and then take the forest road nr. 16A to Kasern. Rest Stop: Waldner Alm.